Not every language uses a layout direction of left-to-right (LTR). Some use right-to-left (RTL). This is also known as the “reading direction” or “writing direction”. This is dependent on your page’s content instead of the system settings. This will prevent you from making CSS attribute selectors that resolve to “ltr” and “rtl” (it’ll be “auto” instead which defeats the purpose). There is a proposed CSS4 :dir(…) pseudo-class which would resolve auto to “ltr” and “rtl” but it is currently experimental and browser support is very weak. I was not able to find any Microsoft documentation that says whether UWP has anything equivalent to Android and iOS. Unfortunately these disparate mechanisms are not abstracted into a unified, built-in Cordova API, the Cordova globalization plug-in, nor from what I can tell, any 3rd party plug-in. var bcp47Tag = ...; // e.g. "en-us", etc. Whether you are developing a MAF (or ADF Mobile) application or a classic ADF Faces application, it is becoming more and more important to support HiDPI screens (high resolution or “retina” displays). There is no easier way to make your application look out-dated than to use grainy, unprofessional image assets or use them improperly. In HTML, the “px” unit (sometimes referred to as a “dp” or density-independent pixel) corresponds to the same amount of space regardless of the DPI of your screen (however, the number of screen pixels may vary). The original iPhone models did not have HiDPI displays. Each point of color on those screens corresponds to one HTML CSS “px” unit. Newer iPhone models introduced a HiDPI (or “retina”) display that has 4 screen pixels in the same amount of space that 1 screen pixel used to take up (2 screen pixels wide by 2 screen pixels tall); on these new screens, the width and height “px” values use twice the amount of screen pixels. Why is this a common problem? Since MAF (or ADF Mobile) uses HTML, displaying an image is not as simple as just specifying the source path and magically hoping the browser will know that you are using a high resolution image. You must specify dimensions to go along with the source path. This would look just fine on a classic low-DPI display. However, on a HiDPI display, it still takes up the same space but since there are more screen pixels, the image will look very grainy. Even if you still want to support legacy screens for your application, this same image (with the same specified width and height) will look beautiful on low-DPI screens because of how images are processed modern browsers. If for some reason you really needed or wanted to specify alternate images for each kind of screen, you have the option to use a screen properties EL variable to toggle the rendered state of alternate amx:image components or simply use that EL to alter the inlineStyle and the source path as desired. Consider whether using PNG is really the right choice to begin with. SVG (scalable vector graphics) files tend to be smaller file sizes when created without excessive anchor points, no embedded bitmap data, reduced decimal number precision, excess whitespace removed, and comments removed. If the resolution of your display gets better, the SVG will look that much better; you don’t need multiple resolution versions of the same image resources. If the SVG was given the proper width/height to begin with by its creator, you won’t even need to muck with inlineStyles since the image will naturally be displayed at the proper size. This entry was posted in android, css, graphics, html, iOS, java, jdeveloper, mac and tagged adf, amx, hidpi, image, lodpi, lowdpi, mobile, quality, retina, server. 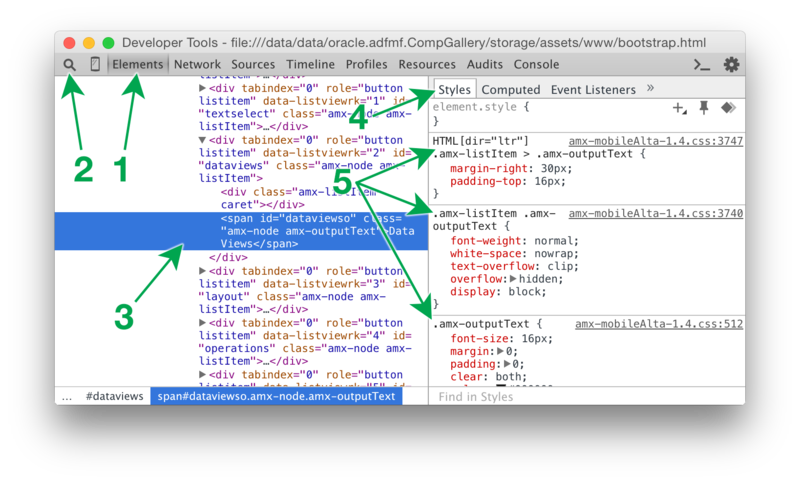 In the past I posted a link to the Oracle ADF Faces Rich Client demos (server-based web applications). 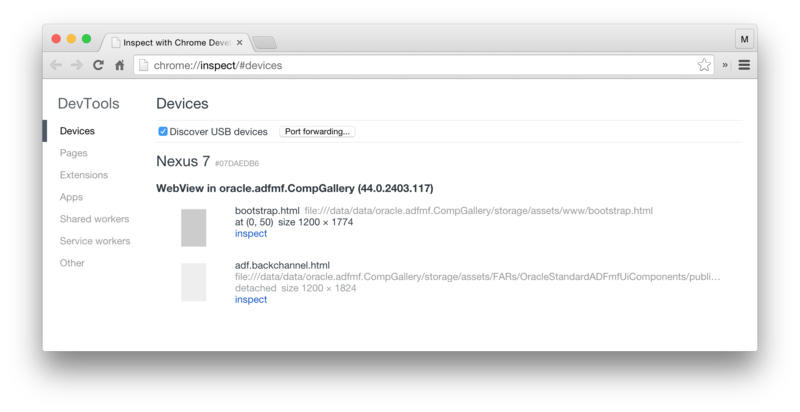 Now that the Oracle ADF Mobile framework for native iOS and Android applications has been released, a similar demo is now available: the Oracle ADF Mobile mock component gallery. This mock component gallery is based on the real component gallery application bundled with the ADF Mobile JDeveloper extension. The recommended best place to view this demo is using the mobile Safari or Chrome browsers on your iOS and Android devices. 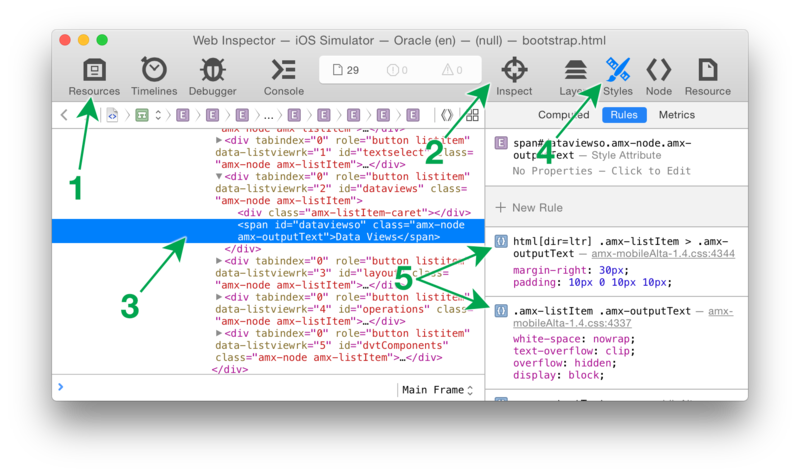 Doing that will give you the closest experience to how the components will appear and behave in real ADF Mobile applications. 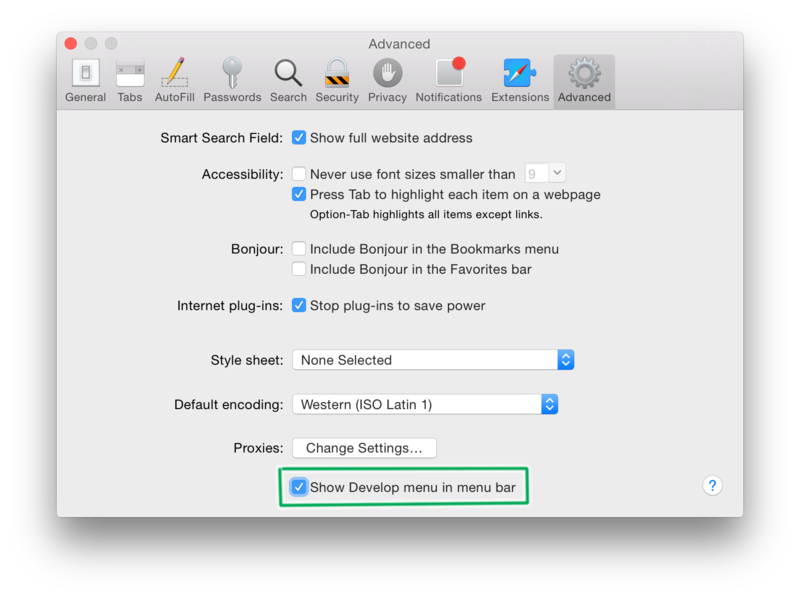 However, you can also view the demo using desktop Safari and Chrome for an approximate experience when access to a mobile device is not available. This entry was posted in android, demo, iOS, java, jdeveloper and tagged adf, android, browser, demo, faces, gallery, iOS, java, jdeveloper, mobile.